Edward Jones has settled a lawsuit it filed against a recently terminated financial advisor, Paul Delzio, who managed more than $142 million from its San Carlos, Calif. office. The firm had filed a lawsuit seeking a temporary restraining order barring Delzio from contacting former clients pending a Finra arbitration. In October the two sides notified a federal court in Northern California – where the lawsuit was pending – that they had reached a settlement. The court, as a result, tossed the lawsuit. 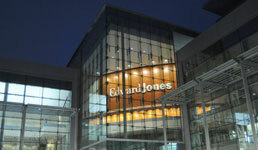 During the dispute, Delzio, who had worked at the firm for three years, alleged that some of Edward Jones’ compliance staff members rooted around in his briefcase without his permission. In a brief, Delzio alleged Edward Jones compliance staff members asked him to come in mid-August to an Edward Jones office in Tempe, Ariz., to question him about client emails and a compliance-related issue. In preparation for that meeting he printed out lists with clients’ emails “to familiarize himself with his client relationships and track record in the event that he found [him]self without a job as a result of the compliance inquiry,” according to Delzio’s brief. During the Tempe meeting, the compliance staff members at one point asked Delzio to leave a conference room, his brief alleges. While he was absent and without asking his permission beforehand, the staff members opened his closed briefcase and took client emails from it, Delzio’s brief alleged. The compliance staff members’ actions were “brutal” and “inappropriate,” Delzio’s brief stated. When he returned to the conference room, the compliance staff members told Delzio he had been terminated, according to his brief. For its part, in its complaint against Delzio Edward Jones alleged that he took trade secrets and proprietary information, including client information. His termination, according to what the firm reported on BrokerCheck, was due to a violation of Edward Jones’ policies including those governing emails. In its complaint, the firm alleges Delzio attempted to solicit Edward Jones clients and get them to terminate their ties to the firm — all allegations Delzio denied. Al Fishman, a partner at JRA Law Partners in San Francisco who represented Edward Jones in the litigation, wrote in an email that his co-counsel, Christopher Pickett, a partner at Greensfelder, Hemker & Gale in St. Louis, negotiated the settlement for the firm. Sylvia Scott, a lawyer at Los Angeles’ Holmes, Taylor, Scott & Jones, represented Delzio and did not respond to an emailed inquiry for this story.